The men's Eider Yosemite rain jacket looks sleek while protecting against windy, rainy weather. You can depend on this jacket's protection whether you're in town or on the mountain. 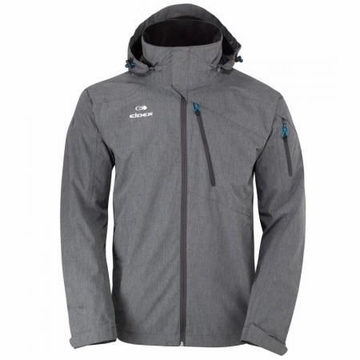 A technical outdoor 2-layer Defender® jacket with mesh lining and a technical but natural look.